Independent local candidate Cllr. Terry O’Flaherty visited the gymnastics training centre during the week. Terry had heard about the hundreds of children and adults coming for gymnastics training each week, and wanted to see for herself. We were pleased to have Terry visit the club, and we gave her “the schpeel” about the our growth and achievements over the years, current challenges, and future aspirations. 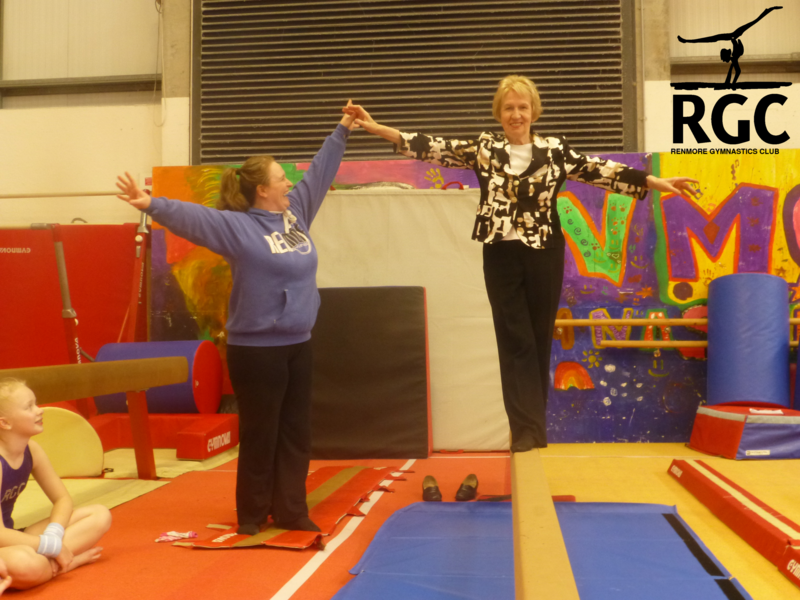 Local election candidate Cllr Terry O’Flaherty has a go on the beam with coach Maire assisting. Thanks for coming to visit us Terry!